This year, CASIO G-Shock celebrates 25 years of Baby-G. Yes, already. Time sure the hell flies. 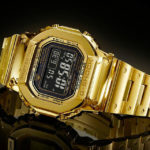 When Baby-G was first launched in 1994, it aimed to create a more feminine version of the G-Shock with all the toughness of G-Shock, but in a smaller, slimmer form. It was a hit. Even as a hot-blooded young man, I was drawn to it. I grabbed my first (and last) pair sometime in 1996 as a gift to myself for getting my driving license (hey, we all need an excuse or two to buy, right?). Baby-G was also the watch that made me realize that small watches ain’t for me, hence the last for me. 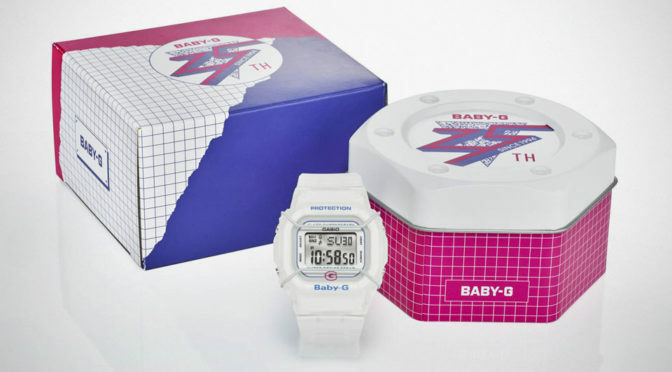 Anyways, fast forward to today, Casio G-Shock has revealed an updated edition of the original Baby-G watch to mark the brand’s quarter of a century in existence. There’s no doubt about the design motive behind this commemorative watch, model BGD525-7; it is a homage to the original DW250 Baby-G timepiece which boast a 40 mm semi-transparent case and band, blue and pink accents on the face, plus a custom street-style inspired back engraving of the number ’25’. Rounding up the package is a custom case in vivid pink and purple that is a nod to the 90s when the brand was born. Those are just aesthetics. 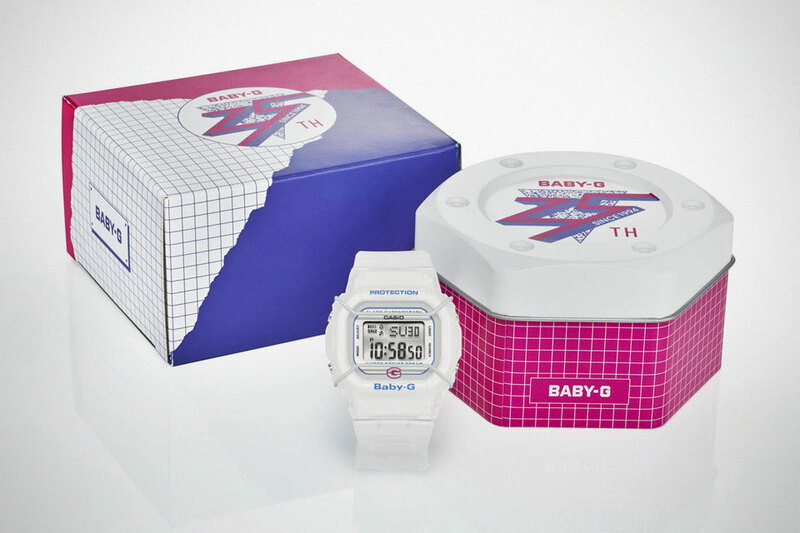 Under the hood, the Casio BGD525-7 25th Anniversary Baby-G Watch is anything but the 90s. It has all of features and functionalities of a modern day Baby-G, including 200 meter (656 feet) water resistance, EL backlight, along with the renown shock resistance offered by G-Shock, along with World Time (29 timezone across 48 cities), stopwatch and countdown timer, 4 daily alarms, and mute function. 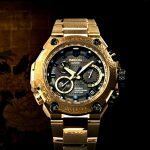 The Casio BGD525-7 25th Anniversary Baby-G Watch will be available starting February via select jewelers, baby-g.com, and G-Shock Soho store, for $79 a pop.